While this recipe would make a great starter for a lengthier meal or dinner party, Zak and I ate them for dinner alongside a boiled artichoke with some butter. I loved the creamy cheese set against the crispy panko and the slight acidity of the tomato paired with the rich cheese and smoky ham. The fresh basil really set off the flavors. Next time, I’ll add a few tablespoons of lemon juice and a few teaspoons of lemon zest to the cheese filling – I have a feeling it will really make this dish shine. I’ll post a note when I try it out, which I’m sure will be soon enough. It’s quickly approaching tomato season here in Ohio and it’s hard to use them up as fast as my wonderful parents can grow them. Season cleaned tomato halves with salt and pepper to taste. Combine all other ingredients, except panko bread crumbs, including more salt and pepper to taste, in a large mixing bowl. Mix thoroughly with your hands or a spatula. Fill each tomato shell with enough to be level. Place panko in small bowl or on a plate. 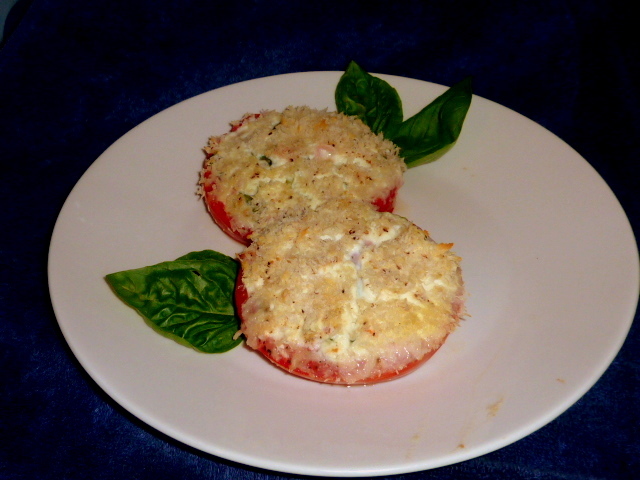 Dip each tomato in the panko until cheese is almost totally covered. Spray a glass casserole dish large enough to contain tomatoes with cooking spray. Place tomatoes, preferably not touching one another, in the dish. 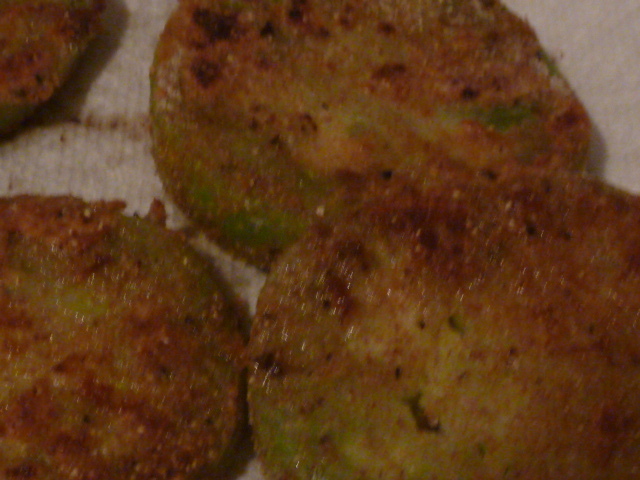 Spray panko-crusted tops with cooking spray. Place in oven and bake 25-35 minutes until topping is light golden brown and cheese is hot and melted. Let the tomatoes rest for 10-15 minutes before serving.